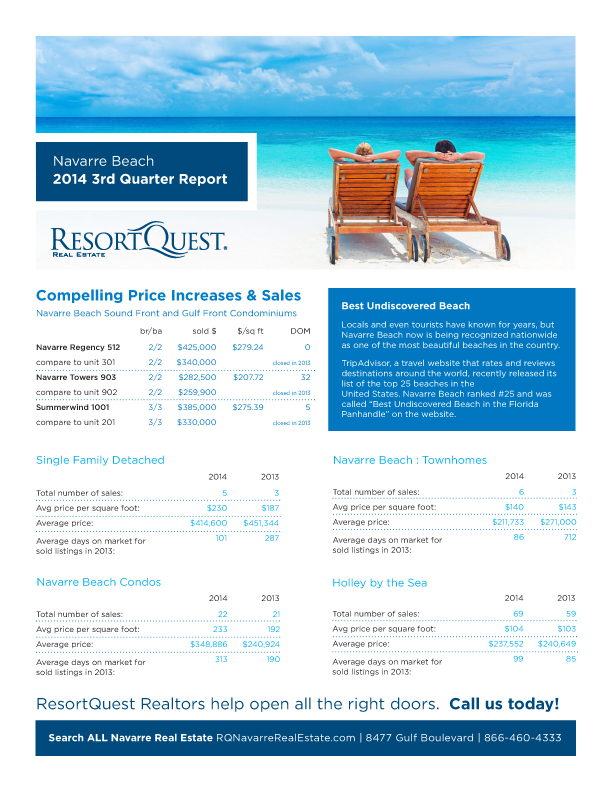 Navarre Beach condos show the most improvement over the third quarter in 2013, with a price per square foot increase of 21% year over year. 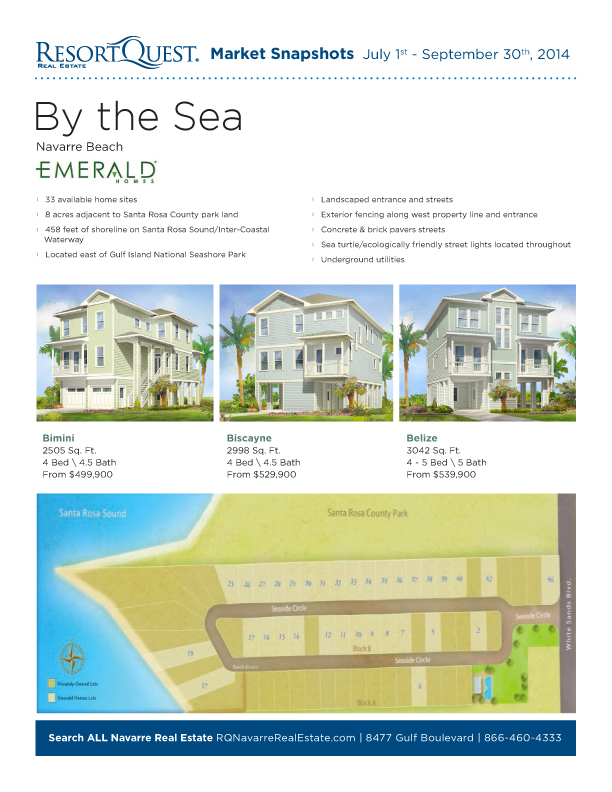 In addition, a new development contains 33 homesites along the Santa Rosa Sound. Read on to learn more about the current real estate market on Navarre Beach and new developments in the area.